For additional information about this book, visit the website EvanLearns.com. A heartwarming lesson in kindness. 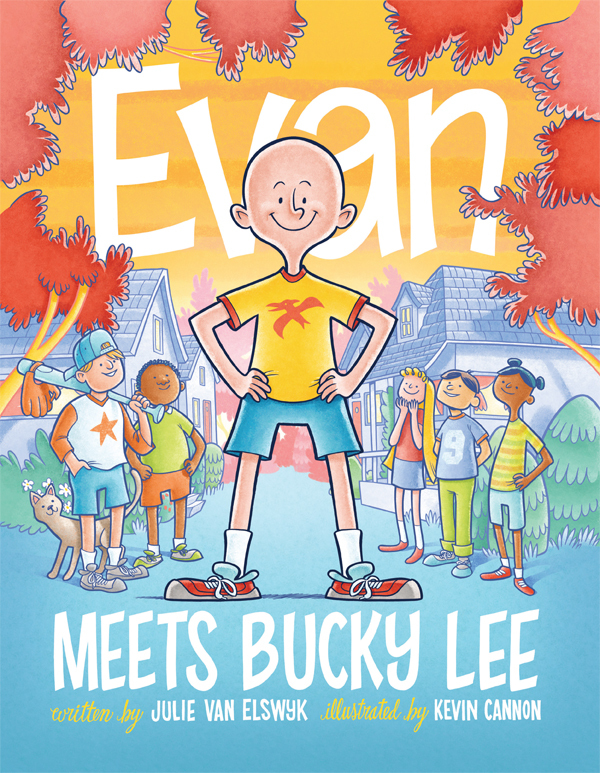 Evan Meets Bucky Lee is a heartwarming tale about a bright young boy who is confronted by a teasing bully. The story walks through Evan's feelings, his response, and the reality of how any bully feels on the inside. Through choosing to own who he is, Evan stands with confidence, and eventually is confronted with an opportunity to turn things around. Evan Meets Bucky Lee honestly addresses differences and the powerful choice children are given to embrace uniqueness. The simple rhyme, colorful illustrations and depth of message will pull at your heartstrings and spark meaningful conversation with your child. Julie Van Elswyk has always been passionate about writing. After walking through her own child’s battle with cancer, she decided to begin a children’s series about life’s most influential moments. A native of the Twin Cities, Julie lives in St. Paul, MN, with her husband and three children. Evan Meets Bucky Lee is Julie’s first book. Kevin Cannon has illustrated several children’s books, most notably Ben and Lucy Play Pond Hockey (2010) and The Gluten Glitch (2012). Kevin has produced illustrations for The Village Voice, The Star Tribune, Vita.mn, and City Pages. He lives in Minneapolis, MN.